As a digital marketer, I wind up writing a decent number of articles for clients’ blogs. And as always happens when writing about a topic, I’ve learned a decent amount about these clients’ products. Our current biggest writing-focused client is Split, which is a B2B SaaS company selling feature flags as a service. But hold up, what on earth are feature flags? Well, I’m about to tell you. A feature flag is a piece of conditional code that you wrap around any new feature, which links that feature to a dashboard. From this dashboard you can turn off the feature, release it to only a subset of your userbase, and generally manage all your features so you can see which ones are in use. Now, how exactly is this useful? To start with, imagine a pre-existing codebase for a currently-working app. You don’t always start with this—one of the ways to implement continuous deployment is to start with a blank canvas—but this is usually how it works and is one of the most common feature flag use cases. Now, imagine a dev team working on a new feature to add to that app. With feature flags, the scenario looks much better. Instead of testing with your staff before pushing to production, just test in production on your real users—starting with just a select few of them, who have perhaps opted in to be guinea pigs. Instead of making branches which may or may not outlive their welcome and/or create a merge hell when you try to get them back to trunk, you can do everything straight in trunk. And if you break something anywhere in this process, you can just turn the feature off, no rollback required. Beyond simply making development less of a headache overall, there are some specific things you can do with feature flags that are much harder otherwise. Some notable examples include continuous integration/delivery/deployment, canary releases and phased rollouts, and dark launches. Continuous integration is the process of constantly and deliberately merging every code change to trunk (/master). Continuous delivery is constantly pushing each change to a production-like environment where there’s only one step of manual testing before it goes to end users. Continuous deployment is similar to continuous delivery, but without the manual testing: automated testing is the only step between the code deployment and the end users. Canary releases and phased rollouts are similar in that they both involve releasing new features to only a subset of the userbase at first. With a canary release, the userbase subset is chosen and targeted to be test subjects, and they act like a canary in a coal mine, letting developers know whether the feature is safe to release to the broader public. With a phased rollout, you begin with a subset, which you then slowly ramp up until you’ve released to your entire userbase. Dark launching is, literally, the process of launching a feature while keeping your users in the dark. Specifically, you use all the portions of your real infrastructure that would ordinarily be used in serving the feature, but you don’t actually show it to users. Feature flags can make this happen by letting you restrict access to only internal users, which lets the developers activate the feature in absence of a real code deployment. There are a bunch more uses for feature flags – some of which are detailed on Split’s or FeatureFlags’s use cases pages, others can be found on Martin Fowler’s blog. Author JenyaPosted on April 15, 2019 April 22, 2019 Categories codingTags canary releases, continuous delivery, continuous deployment, continuous integration, dark launching, development, feature flags, marketingLeave a comment on What is a Feature Flag? You know that thing you used to do as a kid in elementary school, where you learned handwriting by copying boring phrases and sentences over and over? That has a name. “Copywork.” And several years ago, my mother decided she wanted to make it interesting. How? Instead of those boring phrases and sentences, she would create copywork books with quotes from great fiction, literature, and even U.S. presidents. Here’s the story of how I helped make that into a company. Growing up homeschooled as the kid of an entrepreneur, I ended up using a lot of resources that were created by my mother. I took whole classes that my mom made up, start-to-finish. (These, of course, were in her areas of expertise.) One of these resources that she created early in my homeschooling life was copywork books. If I hadn’t stood in awe behind her red patchwork recliner as she typed up a line in one of them, I would never have known that she created the books. They were professionally formatted and bound—my dad is a graphic designer, so I imagine he did that part— and there was even one of those little promotional blurbs on the back. As we all gradually grew out of needing copywork books, she moved on to selling them to other homeschooling parents in our area. And then, one morning when I was around fifteen, she sat me down in the living room. She talked to me about the fact that she wanted to make this into a real business, which would be able to sell not only her copywork books but also other homeschooling resources that she might come up with in the future. In order to do that, she would need two things: an online presence, and a name. Evidently, she wanted my help with those. Having only recently started web programming, I decided to tackle the easier thing first, and I started brainstorming names. After a few minutes, I came up with the Latin half-sentence “spes et”, which means “life and”. I figured that leaving the part after “and” blank would let the reader fill in whatever they wanted. My mother and I contracted the phrase into one word, and at last, Speset was born. Once I had a name, I got started on the graphic design. I sketched out on paper the general idea for what I wanted to do—a young person standing in front of a bookshelf with “S P E S E T” spelled out on book spines—then imported the image to Adobe Illustrator to create the real vector. I made sure that the image was a web-worthy 960px wide and used the “save for web” function in Illustrator (back when that was a thing, it’s called “export for screens” now) to make sure that everything rasterized nicely. One of the biggest problems I had when creating the graphics for Speset was the color scheme. My dad’s aesthetic is dark wood and leather, so he created the book covers with that in mind. Unlike a book cover, though, a website looks kind of ugly with a leather texture, so I had to find a way to convey the same idea with only flat colors. I ended up settling on a bright gold, a dark red-purple, and a light reddish-brown. I thought I might add a wood-grain texture to the background of the site, but I decided it would be too distracting and opted for a simple warm grey instead. After the graphics were finished, I had to get started on actually coding the website. To start with, though at this point I knew almost no PHP, I used the .php file type because there was one thing I’ve always loved to do in PHP: includes. 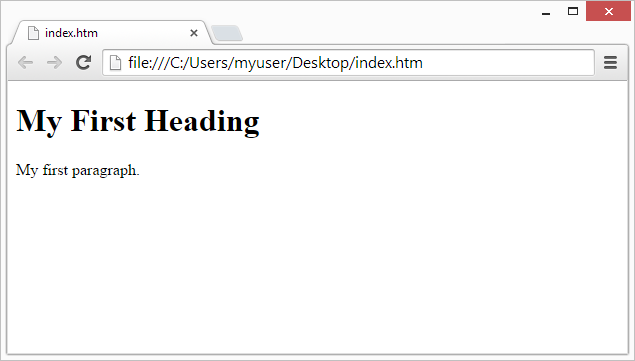 Though I knew how to import an external stylesheet or script, I didn’t know it was possible to import another HTML file. Because I wasn’t a fan of copy-pasting code over and over, or of accidentally failing to copy a closing div tag and thereby ruining everything, I loved to use PHP includes. I still do; though I now know that HTML can do includes, and though HTML5 can do forms now (I used to need PHP for that), PHP is still more powerful than HTML, so I use it to keep my doors open. I put my nice header image into an include, made other includes for the nav bar and footer, then went about writing content. I already had the blurbs I wanted to include—they were the same ones on the backs of the books—but I needed to figure out how to format them. Given the very small amount I knew about CSS at the time, creating a two-columned list next to an image that used a specified font size and amount of space between columns was a daunting task! After a lot of fiddling and finnicking, I’d added all our books, the final thing I needed to do was add the mailing list from Mailchimp. The code wasn’t the hard part, since they provided the form and I just had to style it; setting up the account in the first place was a little more challenging. I eventually managed, though, and I set it up to send me emails whenever I gained subscribers to the mailing list. Over the course of the next few years, I made a handful of improvements to the website, but mostly just added new books as they were published. One thing happened that I wasn’t expecting, though. I didn’t figure it out until earlier this year, when I started cleaning out my inbox, but when I did, I realized I had a lot of emails from Mailchimp. At that time, I hadn’t sent out a single email to any of the Speset subscribers. I hadn’t even done a single ounce of marketing. Beyond the mere existence of the website, I had done nothing at all. And yet, I kept seeing emails from Mailchimp. After a few scores of them I thought to log in to my account and check the subscriber statistics. I blinked a few times when I saw the number. Over a hundred?! Dude!! I’ve since realized the probable reason this happened. Before I’d created the website, the books already had a niche following on homeschooling forums: my mom had done a good job at word-of-mouth marketing. But, they were all just floating about in the Amazon aether, without anything connecting any of the books to each other. Once they all had a single home, the people who’d already cared about them were able to get to them more easily, and to recommend our products more easily. The mere existence of the website promoted both brand loyalty and word-of-mouth. Here’s the website, by the way. Thanks for reading. Debugging in general is the act of fixing errors (called “bugs”) in computer code. Rubber duck debugging is the act of debugging by explaining your code to a rubber duck. That’s a simple enough explanation, but why would you want to do that? Have you ever heard the phrase, “If you can’t explain it to a six year old, you don’t understand it yourself”? The concept is that if you truly understand something, you can explain it to someone who knows nothing about it. This isn’t just a test of understanding for concepts you already know are sound. You can use the power of explanation to find problems with concepts you came up with yourself. If you explain your logic to someone who knows nothing about it, you’ll be forced to start over from the logical beginning and explain in simple terms. When you’re the one who created the logic, you can sometimes accidentally accept unreasonable assumptions without knowing it. If you then have to explain the logic, though, you’ll need to spell out your assumptions. And if those assumptions aren’t reasonable, you’ll know it right away. The best part of this is that it doesn’t require a human. Your brain is good enough at personifying inanimate objects that explaining a concept to another human who simply isn’t replying is functionally interchangeable with explaining it to a rubber duck. So, a lot of programmers explain concepts to rubber ducks (or stuffed rabbits, in my case) instead of inconveniencing fellow humans. So. What is rubber duck debugging? It’s using your brain’s powers of explanation and personification to fix logic problems. Rubber duck debugging is hardly the exclusive domain of programmers. Anybody who can use language can explain something to a rubber duck (I don’t even have to say “anybody who can speak”, because I’m sure rubber ducks understand sign language). Writers do it to fix problems with their story plot, for example. So if you’re ever working on a tricky problem, try stepping back and explaining it to a rubber duck. What Is a Tech Cert, and What Is It For? So, let me take this opportunity to explain what a technology certification is, why it matters, and why if you had to choose between some certs and a college degree, you should choose the certs. There are a wide variety of different certs, offered by a large number of companies, which demonstrate proficiency with a ton of disparate technologies. Each cert is accorded a certain level of respect in the tech space, based on how central the company offering the cert is to the area of technology tested by the cert. For example: SQL Server, one of the most common flavors of SQL, is owned by Microsoft. As such, the MCSE (Microsoft Certified Systems Engineer) in SQL is one of the most highly respected SQL certs. Most companies who offer certifications offer them in tiers. I’ll use Microsoft as an example. The MTA is the lowest level of Microsoft certification. 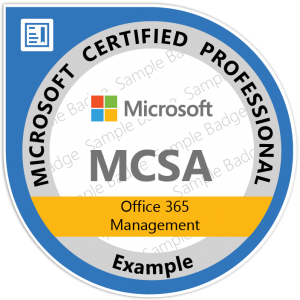 After that, the next level is the MCP (Microsoft Certified Professional), and then the MCSA (Microsoft Certified Solutions Associate). To get an MCSA, you need to pass three or four related MCP exams. The top tier is the MCSE. To get an MCSE, you need to already have an MCSA, then pass one or two additional (much more difficult) exams. These certifications demonstrate specific things to employers. For example, “I have an MTA in this” means “I am skilled enough at this to get an entry-level job doing it”. “I have an MCSE in this” means “I am an expert at this and have a lot of experience using it”. Tech certs and college degrees occupy very different niches. Where tech certs demonstrate that you have a certain level of hands-on skill with a specific technology or technological area, a college degree demonstrates (hopefully) that you have a broad proficiency with technology in general. Where a certification is product-specific, company-specific, and clearly leveled, a degree is more subject area focused and doesn’t necessarily include any particular language or technology, and while it does come in levels (AS, BS, MS, PhD), the levels correlate to time spent, more than skills earned. If I say “I have a CCIE”, you know that I have a very high level of technical knowledge about routers and networking in general, and Cisco routers specifically (Cisco being one of the main manufacturers of routers). This is incredibly useful knowledge to employers, who now know exactly what I can do for them. If, however, I said “I have a Master’s degree in computer information technology”, you only know that I’ve spent six years immersed in technology. You don’t know what kind of technology, and if you’re an employer looking to hire someone who knows how to work with Cisco routers, you’ve got no clue if I can do that. My degree might have required one class in networking, or ten, or none at all. You have no idea. It’s not just that degrees can be highly unspecific and not very useful to employers looking for specific skills. When someone says “I have a degree”, you don’t even know if their knowledge is up-to-date. Certifications are always up-to-date, in one of two ways. Some certifications are only valid for a certain amount of time. For example, the CISSP (Certified Information Systems Security Professional, a cybersecurity certification) expires after three years, at which point it needs to be renewed. Other certifications are version-specific. For example, if you get an MCSE in SQL Server 2012-14, you have it forever, but you’ll probably want to get one in SQL Server 2016 as well once the newer version becomes ubiquitous. But a degree doesn’t work like this. Once someone is taught a thing in a class, there is no requirement that they maintain that knowledge to keep the degree up-to-date. Furthermore, the thing taught in the class may not even have been up-to-date at the time it was taught. A lot of colleges have reputations for teaching things that are out of date, not out of malice, but because tech changes faster than colleges can. It’s rare to find college classes that teach the latest and greatest, and it’s common to find colleges teaching material that’s out of fashion, unnecessary, or just plain obsolete. There’s yet another problem with degrees: they aren’t vendor-specific. I mentioned the CCIE before: the networking certification offered by Cisco. That last part is important. The benefit of a CCIE isn’t just that it says “This person knows routers.” It’s that it says “This person knows routers. Sincerely, the guy who makes the routers.” With a degree, it’s like “This person knows how tech works. Sincerely, a college that you may or may not have ever heard of.” So it’s not just the lack of information, it’s also the lack of credibility behind that information. It is also important to note something kind of unique about tech: many of the seasoned working professionals in the tech space don’t have degrees in tech. This is because when these professionals were starting out in tech, the field was so new that there weren’t many degrees in it. They got degrees in other things: math, electrical engineering, underwater basket weaving, whatever. The thing that made them tech professionals was their technical knowledge, not what came after “BS in” on their resume. And nowadays, with the advent of certifications, these professionals have MCSEs or CCIEs, not college degrees. Basically, if you have to choose between a candidate for your job who has a college degree in technology, and a candidate who has no degree but has several certifications and a good portfolio, you’re going to pick the latter. Even so, there is a reason for degrees in tech to exist besides “colleges wanted to jump on the tech bandwagon”. Firstly, college degrees in tech demonstrate a commitment to learning technology over an extended period. Since you can get certs over however long you want so long as you keep them up-to-date, an employer has no idea whether the candidate with three certs has spent one year or five learning that material. College, by contrast, has a consistent, fast pace, so an employer can infer from a college degree that the candidate is capable of maintaining a high workload for an extended period of time. Second, college degrees are designed to give you an understanding of the fundamentals of the field you’re entering, including at least the basics in the breadth of the field, plus some significant depth in at least one area. A major downside of having only certs is that you may not have a good foundation: you may be a one-trick pony who knows only one thing, and may do that one thing well, but may not know about how it fits into the bigger picture, what it depends on, or what depends on it. The big advantage of a degree is that you’re going to come out of it with a general understanding of every major sub-discipline. You come out of a degree in tech with a general knowledge of networking, operating systems, electronics, math and logic, and programming. This is generally how every degree works, and it is in fact a valuable service that colleges provide. The theoretical ideal candidate has both a degree in technology (for the breadth of knowledge and commitment) and multiple certifications (for specific, up-to-date knowledge about vendor technology). Often in the real world, though, employers will pass up someone with a nice shiny degree in favor of someone who has the right certs and a good portfolio. Author JenyaPosted on October 13, 2018 November 19, 2018 Categories codingTags 30-day blogging challenge, careers, certifications, collegeLeave a comment on What Is a Tech Cert, and What Is It For?